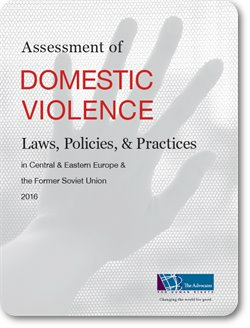 The Advocates for Human Rights has completed an assessment of domestic violence laws, policies and practices in thirty countries in Central and Eastern Europe and the Former Soviet Union. 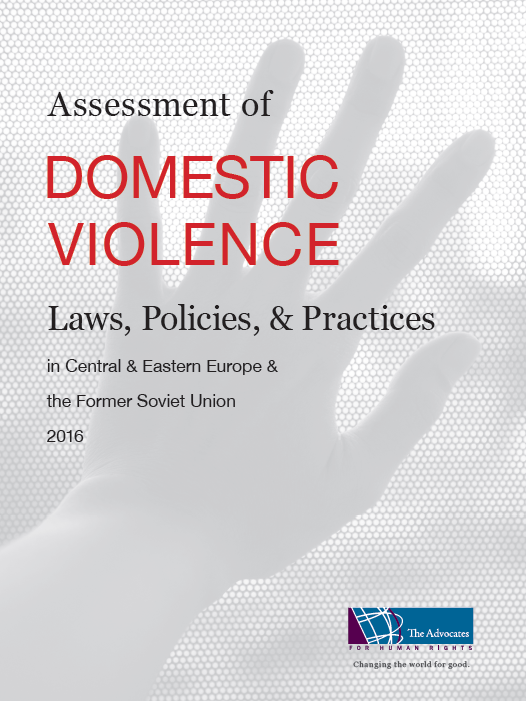 The assessment evaluates each country's potential for strengthening domestic violence laws and improving the government and community response to domestic violence. Commissioned by the Oak Foundation, this report is based on a desk review using human rights reports, news, personal communications, government and inter-governmental organizations' documents, and other secondary sources. The Advocates for Human Rights evaluated several indicators, including: 1) the current laws and recent legal developments; 2) government will toward improving its response; 3) mechanisms for government accountability; 4) the strength of civil society, and 5) the current status of government and non-governmental efforts to eliminate violence against women. With the adoption of new laws, varying resources, and other shifting factors, this area of information is continuously changing, and the informaiton presented in this assessment reflects information available at the time of publication. For more information about this report, please contact Rosalyn Park at rpark@advrights.org.